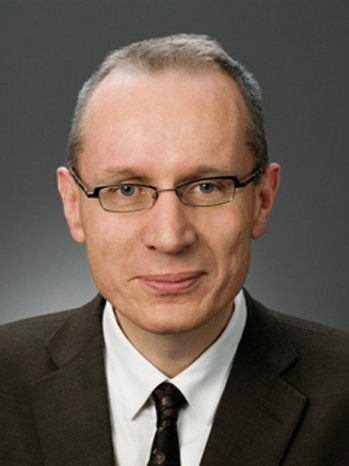 When Robert Thomson was editor of The Times of London, its online readership grew from less than 1 million monthly visitors to almost 13 million. As managing editor of The Wall Street Journal, he guided the paper to become the largest circulation daily newspaper in the country. And as the CEO of News Corp., his talents for massive growth are now being put to use for its subsidiary Move Inc., which operates the real estate portal realtor.com — and he’ll be joining publisher Brad Inman in an exclusive sit-down interview on August 3, 2016, at Inman Connect San Francisco. An acclaimed journalist, editor and media executive, Thomson will share with Brad — and the thousands in attendance — his insights into the media business, the changing digital landscape and the power of platforms and content. The topic, “How Big Media Thinks About The Real Estate Opportunity,” promises to be the most illuminating yet on the plans for realtor.com in 2017 and beyond. Brad Inman will interview Thomson to learn what’s next for realtor.com, how the next several years will shape up for digital real estate and uncover the ultimate opportunity for News Corp. in the U.S. real estate market. Since taking over realtor.com in late 2014, News Corp. has revitalized the platform, bringing in new management and growing traffic and revenunes with clever ad campaigns and integrations with The Wall Street Journal, another News Corp. property. Those moves have reinvigorated the realtor.com brand and its value to both consumers and Realtors, who use the platform to market their listings and generate leads for their business. The company has also sparred repeatedly with realtor.com’s larger competitor, Zillow, from clever ad campaigns that point to data discrepancies in Zillow’s database to a contentious legal case that is still ongoing. In 2015, News Corp. chairman Rupert Murdoch spoke at Inman Connect New York to lay out his vision for the company’s new partnership with the National Association of Realtors and its operation of realtor.com. Now, more than a year and a half later, Thomson will be back on stage at Connect to check in with that vision, share what the company has learned and reveal where they’re headed next. This is a conversation you won’t want to miss, and it will happen only once — at Inman Connect on Wednesday, August 3, 2016 in San Francisco. Reserve your seats now before prices go up. Reserve your seats now before prices go up.